​For close to 60 years the Apollo Theatre in the heart of Harlem has been one of America's foremost cultural institutions, a top showcase for black entertainers and a launching pad for some of the greatest talents of our time: Billie Holiday, Duke Ellington, Lionel Hampton, Ella Fitzgerald, Lena Horne, James Brown, Aretha Franklin, Gladys Knight, Diana Ross, Dionne Warwick, Sarah Vaughan, and Richard Pryor are just a few. 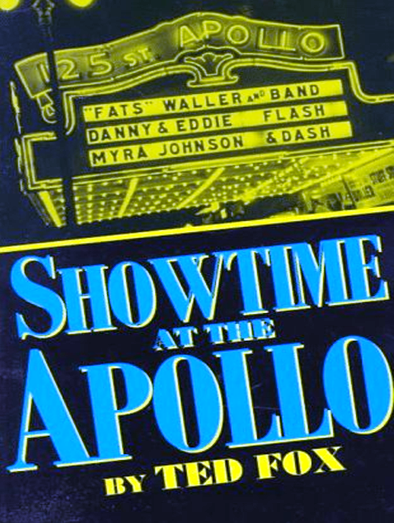 Ted Fox has written a history of the special combination of people and atmosphere at the Apollo; he lets the theatre's stars tell a large part of the story through personal anecdotes, augmented by a splendid array of rare pictures. The author also discusses the evolution of black cultural forms in music and comedy, and in so doing, preserves routines, Apollo trademarks, and backstage lore that might otherwise be lost.